and the addition of a photograph of Hanover street. 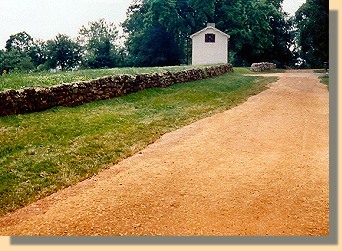 A section of the original Stone Wall as it appeared in 1863 and 2005. 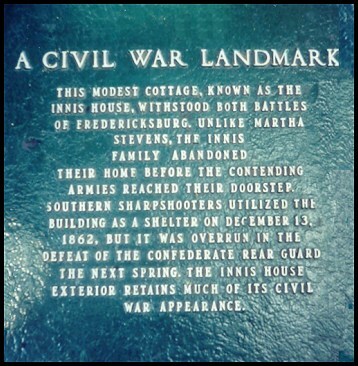 These photographs were taken towards the Innis house. 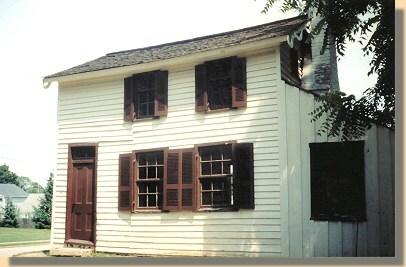 This photograph was taken from beside the Innis House. 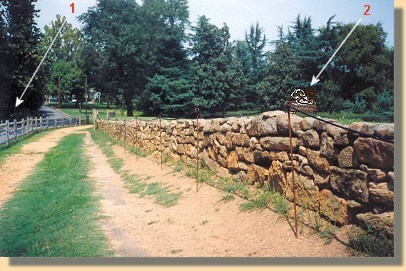 Arrow #1 indicates the location from which the photographer took the 2005 photograph (above, right) towards the Innis house. Arrow #2 marks the Kirkland Monument (below). 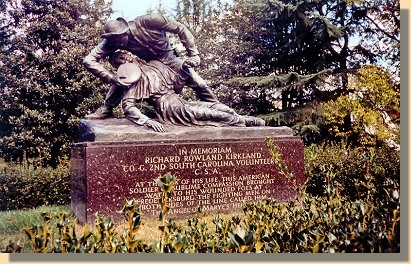 A monument to South Carolina's Sergeant Richard R. Kirkland, who risk his life to carry water to the Union wounded and dying after the battle. The Sunken Road no longer connects to Hanover Street (See map above). 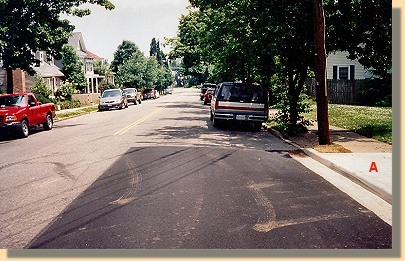 The location of the Sunken Road's previous intersection with Hanover Street is marked on this photograph with an A .